Cap d’Ail is a coastal village not too far from the magnet of exotic cars, Monaco. It will not be the first time that the residents of this picturesque village have seen a special car, but these are mostly cars made in the neighboring countries of Italy and Germany. 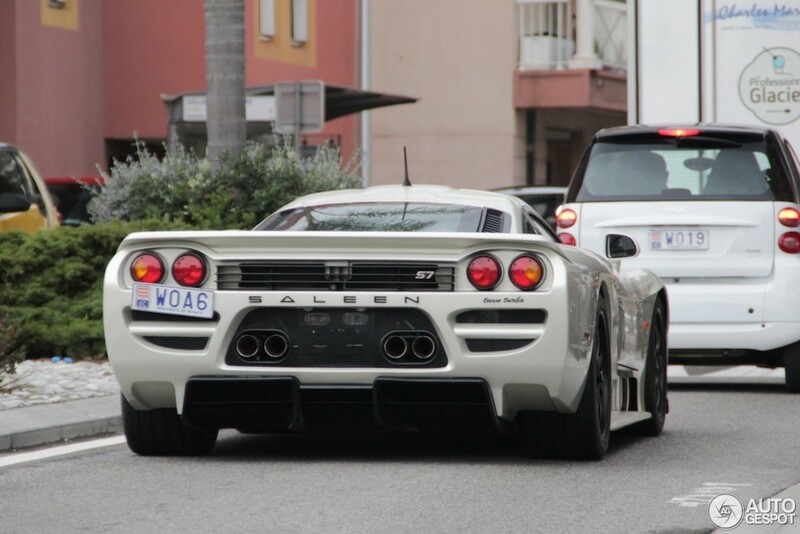 So they might be surprise to see this American monster, the Saleen S7 Twin Turbo! The United States is the home of tuners like Hennessey, Shelby and, of course, Saleen. We can compare these companies with their European counterparts Alpina and Brabus. They modify existing car models by increasing their performance and improving their appearance. Amerika kent een aantal grote namen op het gebied van tuning, waaronder Hennessey, Shelby en Saleen. 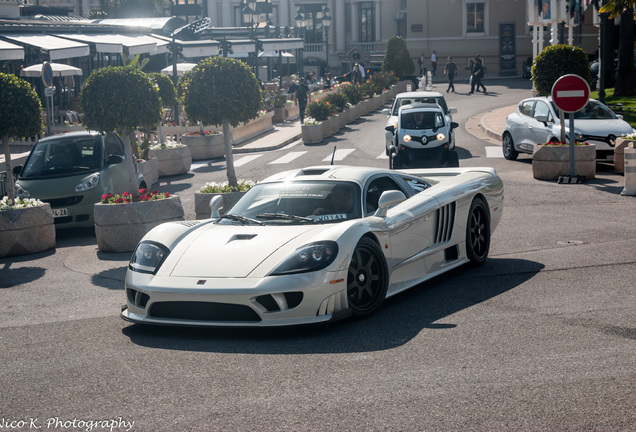 But at times they design their own cars, like the Hennessey Venom and the car in this spot, the Saleen S7 Twin Turbo. The S7 offers 750 bhp and 700 lb.-ft. of torque via 7.0 liters of displacement and twin turbochargers. The massive rear tires, race-derived suspension and downforce-generating bodywork, gives the car an amazing grip, something you might need along the curved coastal lines. Driving the S7 can be somewhat challenging and you need to know what you are doing when putting the car in 1st and 2nd gears. Once you are in third gear the car will just explode and the 345/30ZR-20 rear tires will keep the car stuck to the asphalt. The acceleration of the S7 Twin Turbo's 3.3-second 0–60-mph time and that is an amazing time for a 10 year old, rear wheel driven car. And once third gear you will continue to accelerate to a better quarter mile run of 10.6 sec. at 139.8 mph. I hope that the owner didn't have that in mind while driving in this picturesque village.